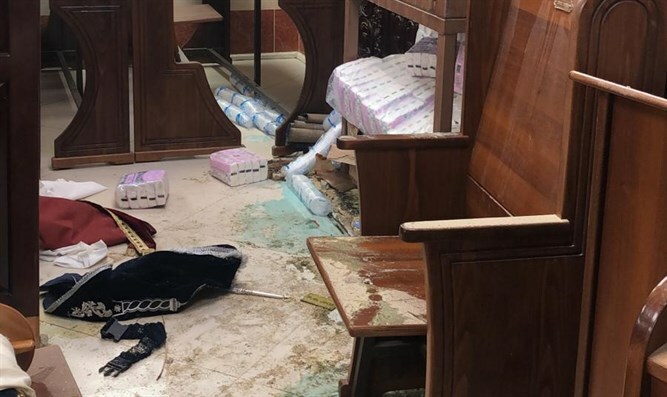 Synagogue serving immigrants in Jerusalem ransacked, leaving Torah scrolls unusable. The shul’s community are mostly French immigrants, thousands of which have fled European anti-Semitism in recent years. For many the event was not only a reminder of the violence currently rampant in the rest of the world, but “recalls dark days in the history of the Jewish people," said Knesset speaker Yuli Edelstein. As of now the shul is unusable. An urgent fund has been started to replace the sifrei Torah, as well as the destroyed furniture. The fund’s efforts are not only to rebuild the physical structure of the synagogue, but to strengthen the unity of the Jewish people in the face of anti-Semitism.